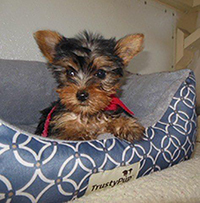 Sunvalley Kennel--We've got a Yorkie or Shih Tzu puppy for YOU ! Welcome to Sunvalley Kennel, where we specialize in Yorkie Terrier , Shih Tzu, and Shorkie puppies raised with tender loving care. 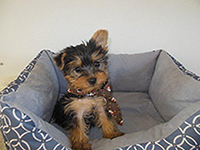 Our puppies are healthy, well-socialized ,ranging from small to medium size. 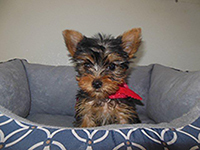 All puppies are vet checked, guaranteed healthy, and come with a Missouri Health Certificate. All shots are current and up to date. We welcome your questions, so feel free to contact us by phone or email. Click here to see more photos of Bubbles. Click here to see more photos of Finn. Click here to see more photos of Buddy.